Offering the collegiate food service industry brands that are built on success. Utilize our expertise to implement solutions to benefit you and your customers. Creating technology that demands attention. The Nutrition Calculator, Nutrition App and Recipe Analyzer can bolster your dining program’s nutrition component. Rotating, static and custom menu cycles are all handled with ease within the Menu Manager and the Menus App. Disseminate your dining program’s information in the Campus Dining App. Offer customers Restaurant info, C-Store info, menus, hours of operation, special events, social media, news and more. Big or small, all dining programs have to pay attention to staffing. 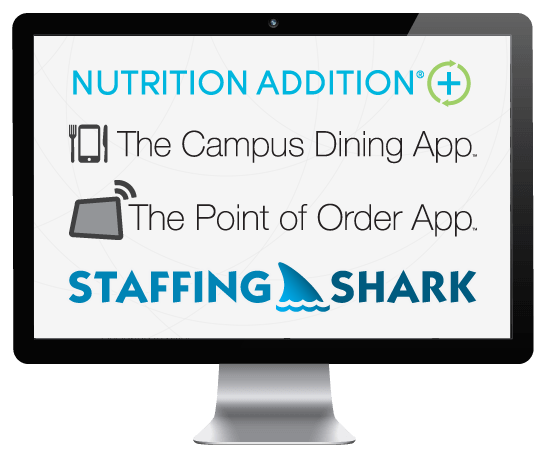 And Staffing Shark is designed specifically for college dining programs. Improve customer satisfaction by implementing a point of order system in your dining facilities today. The Point of Order App offers solutions for customers and employees. Don’t settle for average. 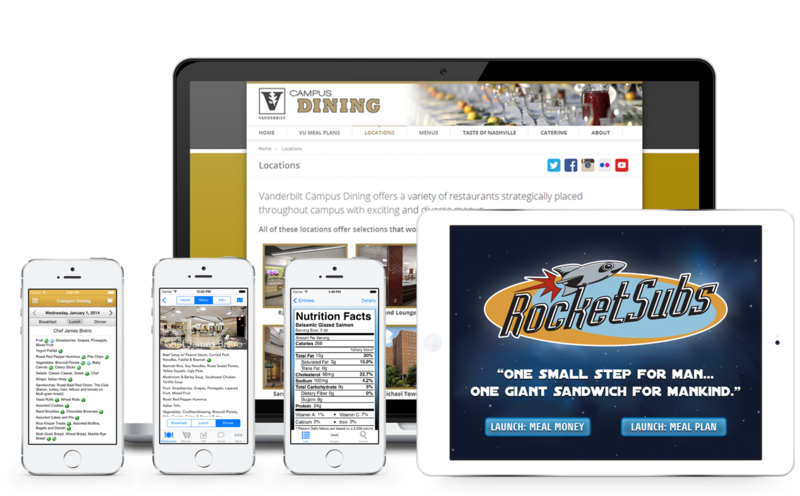 Take your online presence to the next level with a custom plan from University Dining Services to develop a website for your dining operation. Having a custom app developed doesn’t have to be expensive. Be on your customer’s mobile device 24/7 with a custom app from University Dining Services. Since customers expect to be able to purchase products online, having an eCommerce solution is important. We can create a plan that is easy for you to update and administer. University Dining Services can help you with virtually any aspect of your food service operation. Leverage our experience and track record to work for you. Choose a few or a lot from any or all of the University Dining Services array of products. Questions about what we can do for your college or university? 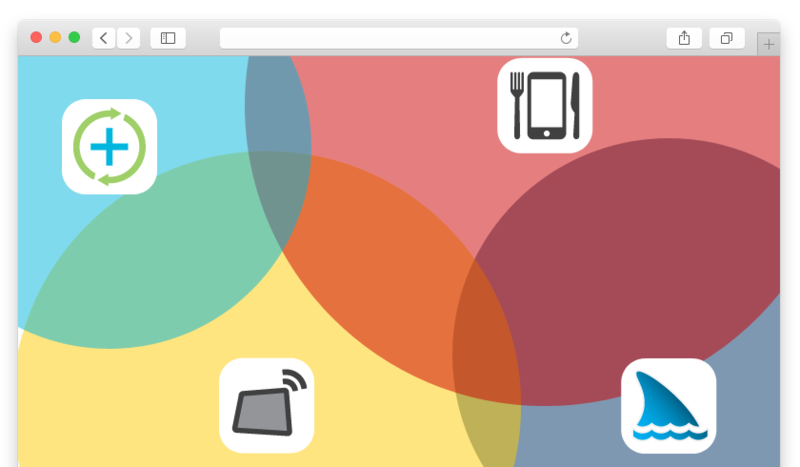 Solutions for all devices and screen sizes. Products from University Dining Services are tailored for devices ranging from the smallest mobile phone to the biggest desktop monitor.